Twitter @ Reply confuses a lot of people when they first start using Twitter, especially because it's hard to keep straight who can see a Twitter reply and where exactly it will appear. 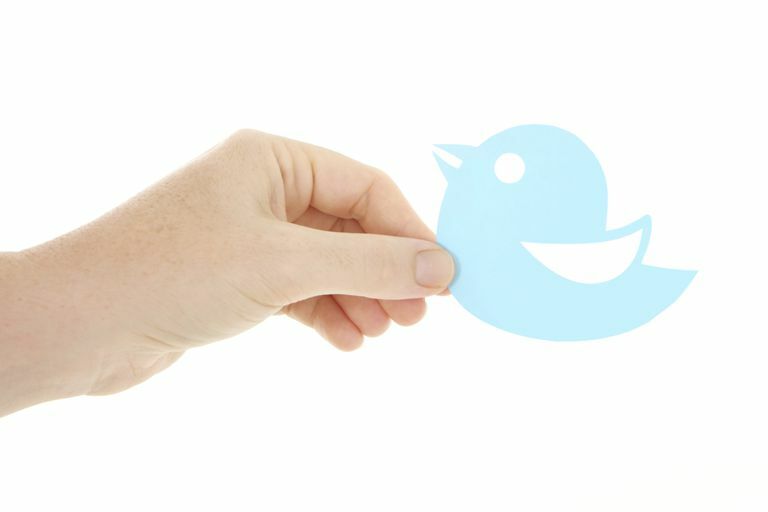 A Twitter Reply simply means a tweet sent in direct response to another tweet. It's not the same thing as simply to send someone a tweet; rather, it's to send someone a tweet in reply to a specific tweet. You send a Twitter reply using a special button or hyperlinked text labeled--what else?--"Reply." A pop-up box will suddenly appear. Type your Twitter reply message into the box and click "Tweet" to send it. Your message will automatically be linked to the tweet you responded to, so when anyone else clicks on your tweet, it will expand to show the original message, too. Who Sees Each Twitter @ Reply? What's tricky is that not everyone will see the @Reply message you sent, and perhaps not even the person to whom you sent it. The person you're replying to has to be following you in order for your reply to show up in their homepage tweet timeline. If they are not following you, then it only shows up in their "Notifications" tab, a special page every Twitterer has which contains any Tweets that mention their username. Not everyone checks the @Connect tab regularly, though, so they might miss it. The same goes for Twitter replies that might be directed toward you. If another user replies to one of your tweets, their @ reply message will only appear on your home page tweet timeline if you are following that particular sender. If not, it will only appear in your @Notifications page. The @reply tweet is still public, though, and other Twitter users can see it if they happen to visit the profile page of the sender and view their tweets shortly after it was sent. Got all that? It's not easy, is it? Whose Followers See Twitter @ Reply Messages? Hint: It's Not Who You Think! So it gets more complicated. As for your followers, your @Reply message will only show up in their tweet timelines if they also are following the person to whom you sent the reply. If they are following you, but not following the person you replied to, well, then, they won't see your reply tweet. That is not understood by many people because it's not the way Twitter ordinarily works. Ordinarily, your followers see all of your tweets. So who would guess that if you send a public tweet by clicking the Twitter reply button, your followers will not see it unless they're also following the person whose tweet you replied to? It's hardly intuitive and is one of the many reasons some people get frustrated with the complex nuances of Twitter's interface. and all your followers would see that reply in their timelines. You can still use the Twitter reply button, just be sure to stick a period in front of the @username which the button automatically inserts into the beginning of reply tweets. It's a good idea to be judicious in your use of the Twitter @ reply button. If you're trying to have a direct conversation with someone, be sure your tweets are interesting before you start sending a barrage of Twitter replies. Because your Twitter @ reply message may be meant mainly for the person you're responding to, but it will appear in the timeline of all of your mutual followers. So if you send three or four replies in a short period of time, and some of them are pretty trivial, that might get annoying for other people who may not be all that interested in your banter or small talk. Alternatively, if you want a whole lot more people to see your messages designed as replies, you can send a regular tweet and include the username of the person you're aiming your tweet at, but not put it at the beginning of the tweet. Twitter replies always start with the @username of the person you're responding to, so technically this isn't an official Twitter reply. But if all you're trying to do is get the attention of a particular user and respond to something he or she said, it will accomplish that and also be viewable by all your followers. No need to stick a period in front of the username to make this kind of tweet viewable by your followers, because again, it's not technically a Twitter reply. Your NASCAR tweet was a riot, @davidbarthelmer, and I agree 1,000 percent! This is called a Mention on Twitter, obviously because it mentions a specific username within the text of the tweet. It's directed at a particular user, and while it's in response to a particular tweet, it's technically not a Twitter reply. So there it is: If the tweet isn't created with the Reply button, or it also doesn't have the username at the very beginning of the message, then it's not a Twitter Reply. But it will be seen by all your followers, and the person you're replying to will see it in their timeline if they're following you, and in their @Connect tab if they are not following you. Twitter jargon can get annoying, for sure. There's a lot of it, and simply defining a term doesn't always help, though Twitter does a decent job in its help center and this Twitter language guide can help, too. Still, it takes a while to learn how to use even some basic Twitter features. Twitter - What is a Twitter @reply? If You Block Someone on Twitter, Do They Know?